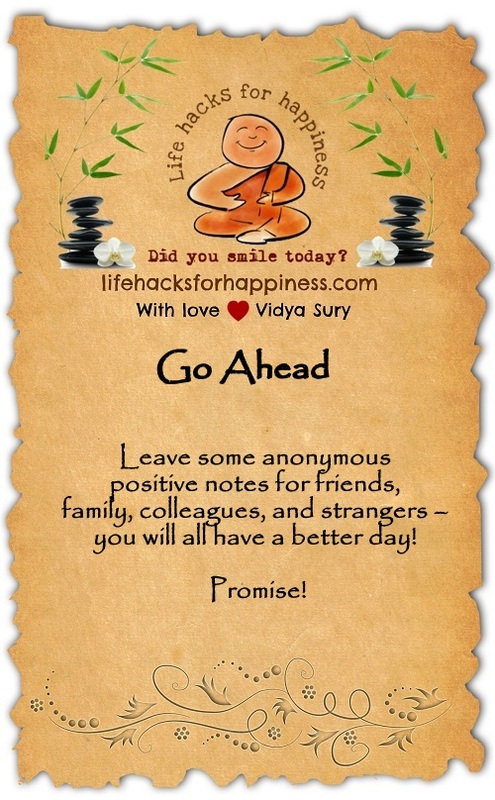 Leave some anonymous positive notes for friends, family, colleagues, and strangers – you will all have a better day! Promise! What a great suggestion! When I was growing up, my mother would leave little notes in my lunch, and they’d always brighten my day. So relate to that quote from your uncle. I have/had family members like that. My mum would often say to me when I was a child – lifting someone else’s mood/day lifts your own up too. How has the first week of the challenge been for you so far? Are you meeting your goals of posting and hopping to other blogs? Looking forward to Sunday off? My blog’s giveaways are still going! I’m encouraging everyone to visit more stops. I’m leaving plenty for over 200 people this weekend!